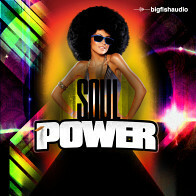 The ultimate Soul, Funk and Disco collection from Smash Up The Studio! 14 awesome Construction Kits plus 160 of the sweetest loops make up this classic collection of 80's grooves. 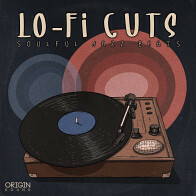 Weighing in at a whopping 2.25 GB, this pack features piano's, rhodes, synths, guitars, basses, strings, and more! Already used by top producers worldwide. 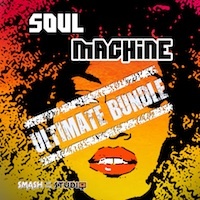 Here is a chance to own Smash Up The Studio's immensely popular "Soul Machine" collection at a special bundle price! 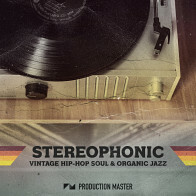 Includes Soul Machine 1 & 2 both Audio and MIDI versions. Soul Machine "Ultimate" accurately re-creates those gorgeous chord progressions, classic synthesizer hooks and keyboard riffs for the modern day producer and is an essential tool for anyone seeking to make authentic Soul, Funk and Disco. All loops have been recorded in 24 bit audio. MIDI loops are also included and loops range between 2 and 16 bars in length. Tempo and Key info is also included in the pack. 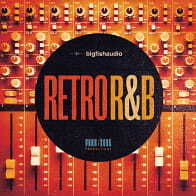 Produced and performed by Steve Burton for Smash Up The Studio. This product contains keyboard and instrument loops only. It does not contain drum loops. The Following End User License Agreement is included with Soul Machine: Ultimate Bundle. 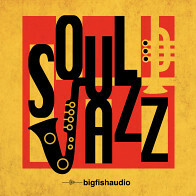 This License is only valid for the individual who has purchased an unopened, new and lawfully made copy of Soul Machine: Ultimate Bundle from a dealer or distributor authorized by Big Fish Audio. "Smash Up The Studio audio samples, midi files, chord progressions and musical phrases are licensed to you (not sold) for use within your music productions.This non exclusive, non transferable license is granted to, and only to the individual who has purchased a new copy/copies of our products from smashupthestudio.com, or from one of our authorized distributors. All content remains the property of Smash Up The Studio. "